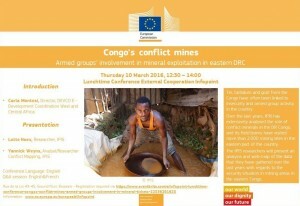 Tin, tantalum and gold from the Congo have often been linked to insecurity and armed group activity in the country. Over the last years, IPIS has extensively analysed the role of conflict minerals in the DR Congo, and its field teams have visited more than 2.000 mining sites in the eastern part of the country. 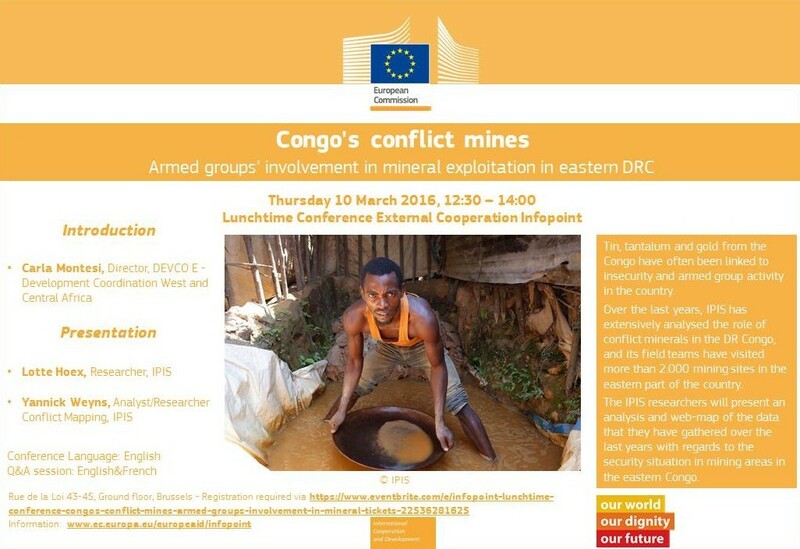 The IPIS researchers will present an analysis and web-map of the data that they have gathered over the last years with regards to the security situation in mining areas in the eastern Congo.